Dictyonema is the good example of the 2nd most abundant group of graptolites, the dendroids. 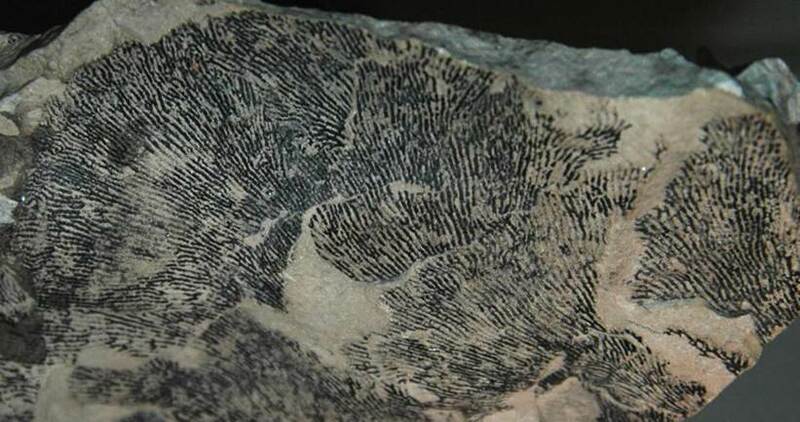 Dendroid graptolites attached to substrates and had colonial skeletons (rhabdosomes) that are generally broadly branching (conical to fan-shaped to shrub-like to flat spirals). They are typically preserved as carbonized compressions parallel to bedding planes, as are graptoloid graptolites. Dictyonema crassibasale Gurley in Bassler, 1909 (Animalia, Hemichordata, Graptolithina, Dendroidea, Dendrograptidae) in dolostone from the Lockport Dolomite (upper Middle Silurian) of the Hamilton area, southeastern Ontario, southeastern Canada. Colorado School of Mines Geology Museum public display, Golden, Colorado, USA.